I irritated and intrigued by husband by my constant chuckling while reading this book by Matt Haig. It is now on his to-read shelf. I wish I had read it sooner, it was a breath of fresh air. I read it in two sittings over a weekend. If you feel a little jaded with your reading, this is my prescription for you. Professor Andrew Martin is not feeling himself. He has been walking naked through the street and finds humans really odd-looking. That is because the real Andrew Martin is dead, and the human who looks like him is really an alien. The alien has come to earth to delete the mathematical breakthrough achieved by Professor Martin before it does damage to humankind. The alien Andrew just does not get humans, in fact his first source of information on human behaviour is from Cosmopolitan magazine. This is a funny book with a serious message about mental health, about our acceptance of others for what they are, the expectations and selfishness of modern society. Bit by bit, the alien Andrew discovers humans are not as he has been warned; they can in fact be generous, charitable, empathetic and brave. Click here for Matt Haig’s website. 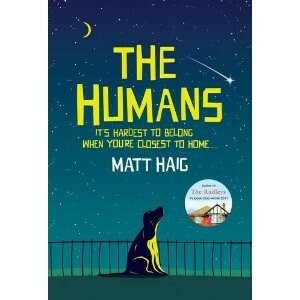 To follow Matt Haig on Twitter [he is very funny], click here.